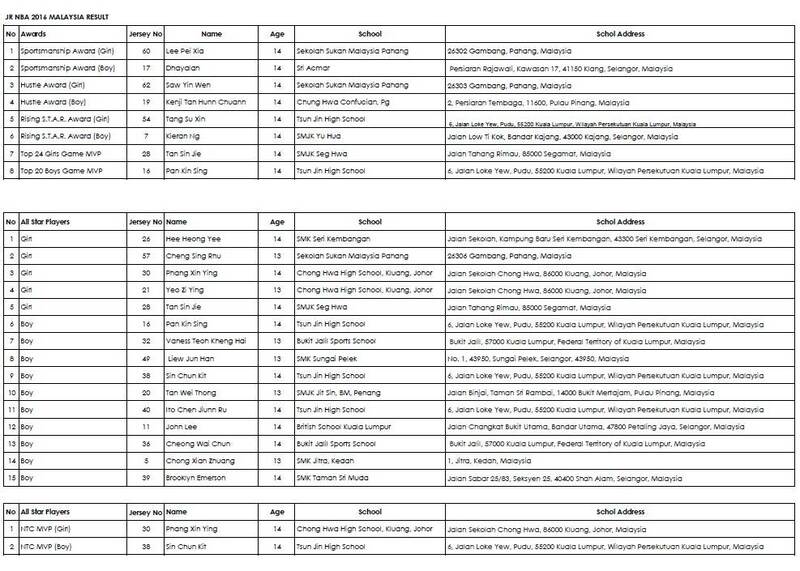 MALAYSIA, 9 AUGUST 2016 – Today, the Jr. NBA Malaysia presented by Dutch Lady program crowned its top 15 basketballers under the age of 14 as the 2016 Jr. NBA Malaysia All-Stars. 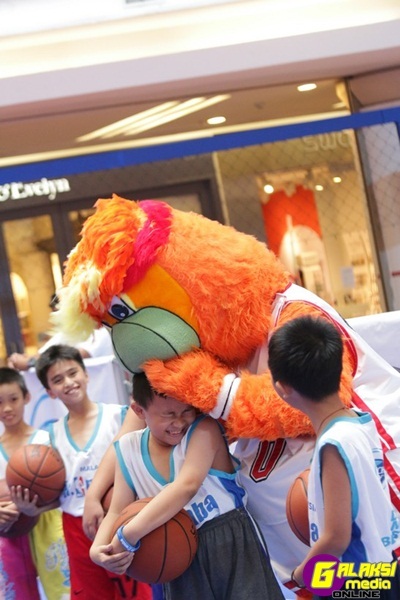 The awards ceremony served as the pinnacle of the 5-day NBA Fan Zone event that took place here in 1 Utama Shopping Centre since the 3rd of August. YB Dato P. Kamalanathan, Deputy Minister 1, Ministry of Education; Steven Adams, Oklahoma City Thunder center; along with Craig Brown, Jr. NBA Head Coach; Jim Wong Senior Director, Global Marketing Partnership, from NBA Asia; and Ashlee Ng, Marketing Director of Dutch Lady were present to award the finalists and crown the top 10 boys and five girls as the 2016 Jr. NBA Malaysia All-Stars. 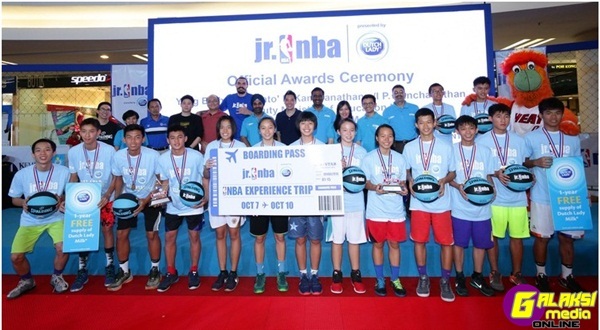 For two more young 14 years old superstars, Sin Chun Kit and Phang Xin Ying, the night became a little sweeter as they were named as the 2016 Jr. NBA Malaysia presented by Dutch Lady Most Valued Players. 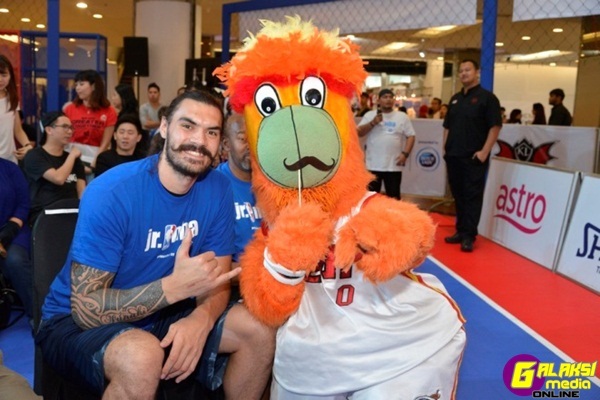 Throughout the five days, fans of the NBA, especially the Miami Heat and Oklahoma City Thunder; and basketball enthusiasts alike were treated with a special visit by Burnie, the Miami Heat mascot and the Thunder’s dominating center: Steven Adams – much to the delight of shutterbugs and selfie hunters alike. 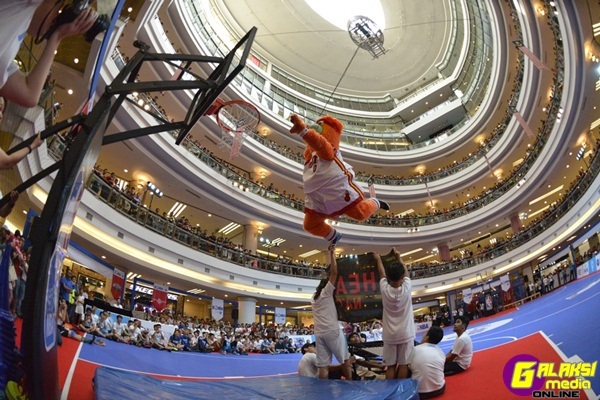 Burnie stole the show with his acrobatic and hilarious antics while Adams got up-close with fans and the crowd in the mall. The locker room replica was a big hit too among fans as they took their best ‘post-game’ selfies. Fans took part in a plethora of games and activities centred on time-honoured NBA fun traditions like the classic Half-Court basket attempt, along with a run at the NBA sanctioned skills and drills. Some fans of the game virtually stepped into the court against their stars in the NBA Virtual Reality headsets while enthusiasts took the opportunity to steal a peek at the Larry O’ Brien trophy – awarded to the winner of the recent NBA Finals: the Cleveland Cavaliers. Korean artist, Kwang also finished his awesome NBA art illustration on Stephen Curry, James Harden, John Wall, Demar Derozan and Lebron James which was revealed to the public for photo taking. Throughout the week, avid gamers tested their off the court skills with the first ever NBA-sanctioned NBA2K16 tournament. These gamers worked their fingers to the bone but Ammar Siddiqni emerged victorious in securing a pre-released version of the NBA2K17 and bragging rights over the other participants.